No matter how many times you browse the App Store, and no matter how many times you download apps on you iPhone, there are always surprises waiting, hidden deep within the endless lists of the store. It is always great when you find an app that solves a problem you didn’t even know you had. 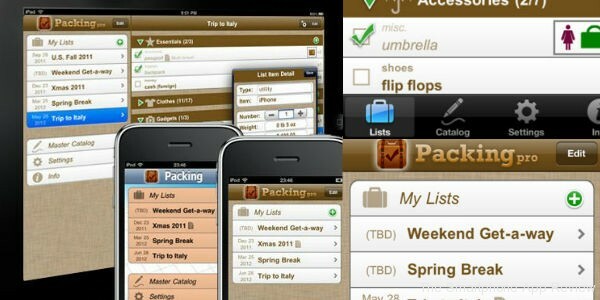 Packing Pro is one such app, although as it turns out I am in the minority of having never heard of it, as it has already won a few awards and been featured by Apple a couple of times. So what is it? It is simply an assistant to help you with packing your bag for a trip. 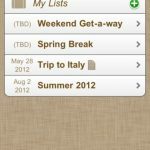 The app has been expanded beyond that now, feeling more like a complete travel preparation app than what may sound like a variation on a shopping list app. 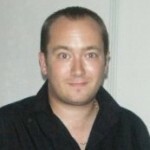 This is important, as the app must offer far more than simple lists in order to succeed. Luckily it does offer more, in a big way. First, I will start with the basics, and use an example where I feel the app could definitely help me in my own life. I live in the UK, but every few years I take my partner and our three kids to Orlando in the USA, which is a big task that takes months of planning and a not inconsiderable cost that all leads to a 10 hour flight across the pond. Now, all the planning and thought that goes into taking five people on such a holiday always seems to boil down to the last half an hour before we leave the house. I am constantly checking and re-checking the passports, tickets, transfer vouchers and much much more. This is all in the chaos of three very excited children, and you then get to that moment where you are standing with the front door ajar, thinking ‘I know I have forgotten something!’. So, Packing Pro is going to be a massive help to me, especially with important documents and the need to keep re-checking them. Put them in bag, tick box on app, all done. The brilliant thing about Packing Pro, however, is that it isn’t just the essentials that it can list, but everything you can think of, and you can even create different lists. So, you can have a list for important documents, a list of toiletries, one for the kids clothes etc. 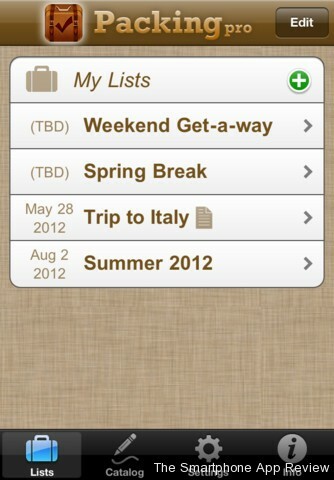 The beauty of the app is that you can edit these lists months before you travel. The amount of times where you think, ‘We must remember to pack this for the kids’, and then forget everything about it until you are three days into your vacation, well with this app you can add the item to the list as you think of it, with no chance of forgetting it afterwards. 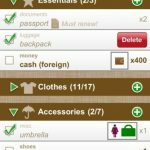 You can create your own categories, add any item you can think of, and do just about everything you could possibly imagine with an app like this. The developer has even let you completely customise the look and theme of the app, something that very few developers think of doing, but is actually a really nice touch. The recently added iCloud support is a stroke of genius. You may have been editing your lists on your iPad, but when you get to the airport, with the iPad either at the bottom of your bag or already loaded on the plane, and need to check something, the data has already been imported into the app on your iPhone. There are so many options and features here that really makes for a truly impressive app. 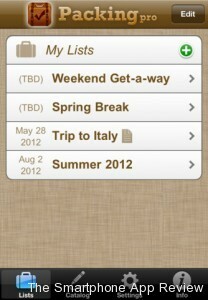 Overall, this comes highly recommended as a superb travel assistant.